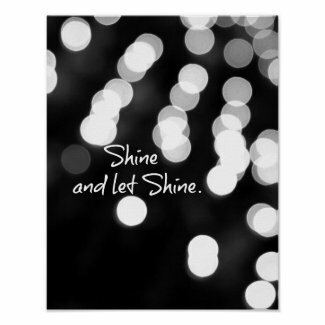 Inspirational Quote Poster, "Shine and Let Shine"...in black and white with bokeh lights. 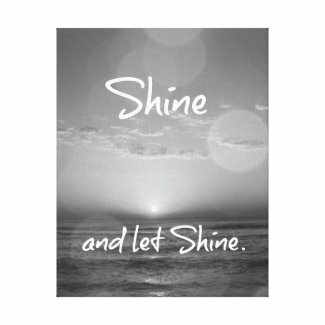 There's plenty of room in the world for all of us to shine. 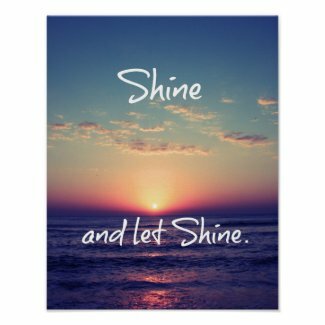 Encouraging and motivating quote gifts ...this design is available in three different designs (see below for a black and white ocean sunset version with bokeh light accents, and a retro color ocean sunset). All quotes are available on iphone cases, other home decor and paper products (cards, etc) Visit Quote life for more.